Windies stalwart Chris Gayle has declined selection for the upcoming ODI series in India and the next tour of Bangladesh, but has made himself available for the home series against England that follows, and the 2019 World Cup next June. Just two days ago - on October 6 - Gayle played his final List-A game for Jamaica, leading the team in place of Nikita Miller and capping off the occasion with a match-winning century. Though a blow to a team that's won just 13 of their 49 ODIs since the 2015 World Cup, Windies are also viewing the ODI series as a platform to blood a few youngsters in preparation for the 2019 event - which they made it to through qualifiers. Chandrapaul Hemraj - a 25-year-old opener from Guyana - has been picked alongside all-rounder Fabian Allen and pacer Oshane Thomas, who recently impressed at the CPL with 18 wickets. Sunil Ambris, who made his Test debut earlier against New Zealand and is currently featuring in the Tests in India, has also been included for the ODIs. Another important absentee from the ODI squad is Andre Russell, who misses out due to injury. The big-hitting all-rounder, however, has been backed to recover in time for the three T20Is, starting from November 4. 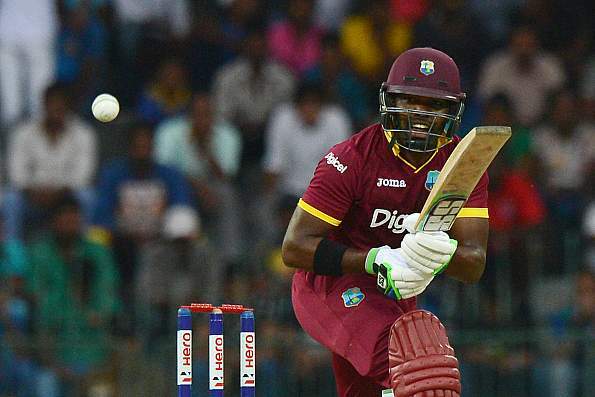 Kieron Pollard and Darren Bravo - two members who've had to grapple with contract stand-offs with the Windies board in the past have been welcomed back into the T20I squad. Pollard's last T20I appearance came a year ago in September 2017, while Bravo's previous was way back in 2014. The left-hander hasn't played international cricket since late 2016. Alongside these two senior members, Windies have opted to give opportunities to some of the youngsters, keeping in mind that the next World T20 is still about two years away. "With the 2020 ICC World T20 two years away and the limited amount of T20 Internationals within the next year, the panel believes at this juncture it is time to invest in the young players that have emerged over the last two years from Windies A and B teams, along with 2018 CPL," chairman of selection panel Courtney Browne said.